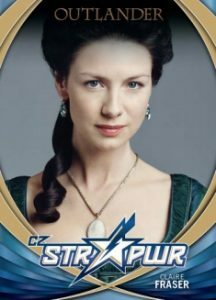 Applying the familiar spin to Outlander, the 2017 Cryptozoic Outlander Season 2 checklist compiles notable moments and characters into one standalone product. This includes signed cards and costume relics that each average one per box. 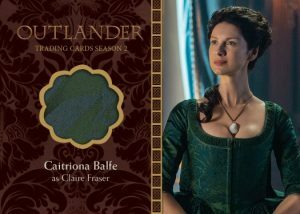 Like most releases from the card maker, 2017 Cryptozoic Outlander Season 2 makes good use of the base set with 72 cards. 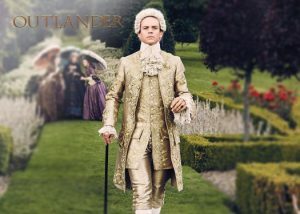 These, of course, cover the second season of Outlander with time-traveling plots that feature Claire and Jamie in 18th-century France as well as Claire and Frank in more modern times. 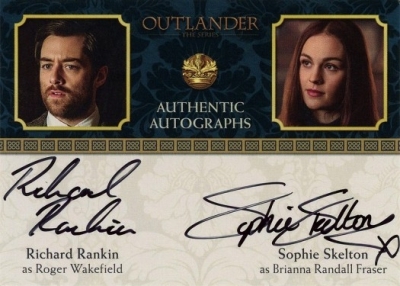 2017 Cryptozoic Outlander Season 2 also features premium elements such as Autographs (1 per box) from cast members. 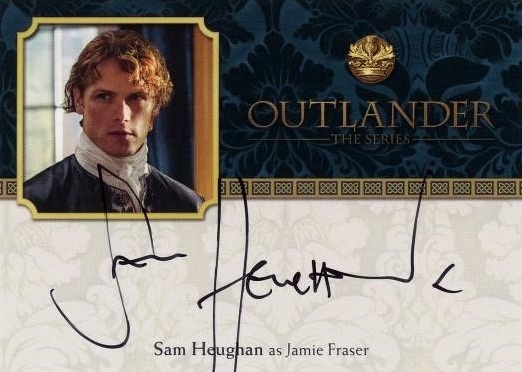 Key signers include Sam Heughan as Jamie Fraser, Duncan Lacroix as Murtagh Fraser, and Graham McTavish as Dougal MacKenzie. There are also Dual Autographs. In addition, the set delivers Wardrobe cards (1 per box) with costume pieces from items used for the show. These come in single and dual relic versions. 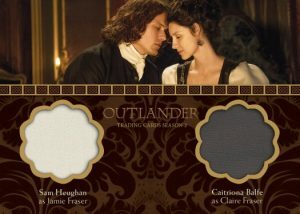 Finally, 2017 Cryptozoic Outlander Season 2 brings five chase inserts at varying odds, each providing a different theme. 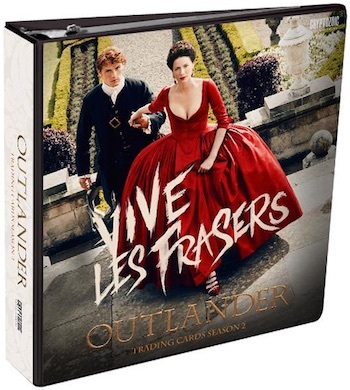 Options include Character Bios, CZ STR PWR (Star Power), Gardens of Versailles, Quotes and Vive Les Frasers. Not found in packs, S2 promo cards can be located through various sources and online. 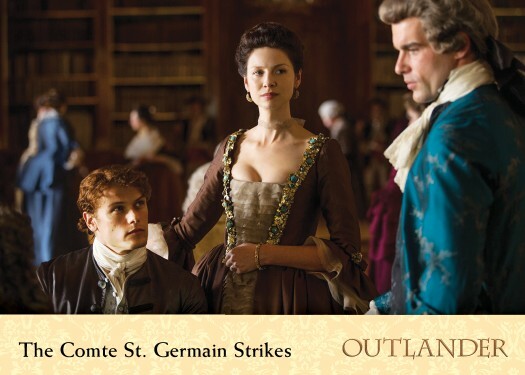 A card showing Jamie and Claire in a tender moment is one of the choices. There is also a custom binder for the set with an exclusive card. 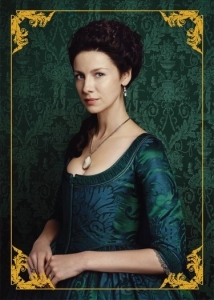 The Season 2 set builds on the popular Cryptozoic Outlander Season 1 product, and follows a similar pattern. Providing more collectibles, there is also a Funko Pop Outlander vinyl set for fans to add to their collection. 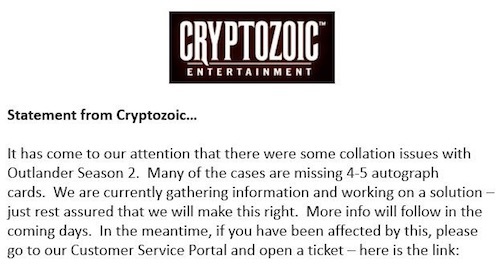 Collectors who have missing autographs can contact customer support at cryptozoic.kayako.com. 72 cards. Shop for complete base sets on eBay. PARALLEL CARDS: Rainbow Foil Board (1:3*), Gold Jacobite Seal (1:8*), Red Jacobite Seal #/50 (1:30*), Printing Plates 1/1 (1:288*). 28 cards. Shop on eBay. All autographs combine to average 1:24 packs. 4 cards. Shop on eBay. PARALLEL CARDS: Red (1:144), Silver (1:288), Gold #/25, Black 1/1. 26 cards. 1:24 packs. Shop on eBay. Card #B1 is a binder exclusive. PARALLEL CARDS: Printing Plates 1/1 (1:288*). 6 cards. 1:100 packs. Shop on eBay. Not found in packs. Shop on eBay.